Hot, sweaty, mosquito-infested lowland forest and swamp. Crawling with birds and easy to access. Northern Cassowary; Pale-billed Sicklebill; Blue-and-Black Kingfisher; Brown Lory; Twelve-wired Bird-of-Paradise; Shovel-billed Kingfisher; Victoria Crowned Pigeon; King Bird-of-Paradise; Blue Jewel Babbler; Brown-necked Crow; Hook-billed Kingfisher; Vulturine Parrot; Papuan Hawk-owl; Lesser Bird-of-Paradise; Brown-collared Brush-turkey; Greater Black Coucal; Papuan Nightjar; Grey Crow; Black-sided Robin; Lowland Peltops; White-eared Catbird; Wompoo Fruit-Dove; Coroneted Fruit-Dove. Nimbokrang is the name of an old transmigration project site, in which farmers form other parts of Indonesia were encouraged to open up land in more under populated parts of the archipelago. The result is an area of open farmland, much of it overtaken by scrub, surrounded by large areas of intact lowland forest and swamp forest. Nearby the land rises and areas of low hill forest can easily be accessed. From a base in Nimbokrang there are lots of options for birding. The most famous location is ‘Jalan Korea’ a former logging road that is now unused by heavy traffic. This trail runs to the west of Nimbokrang and any local person would be able to direct you to it. Birding is good all along the trail and many side paths head off from the main track. Often these side trails are raised board walks for the first few hundred metres. To the west of Jalan Korea the land stretches out into a huge area of swamp forest that can only be accessed on foot, and even then its hard going in mud. Nearer to Nimbokrang is a smaller patch of forest that can be easily accessed on foot from the village. This has a foot trail cutting through it and both the forest edge at the start of the trail, and the trail itself, are great birding. 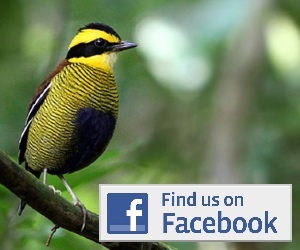 The birding is similar at all sites near to Nimbokrang, and here can be found many species. For some, like Northern Cassowary, Victoria Crowned Pigeon and Brown-collared Brush-turkey, a trip into the swamp forest west of Jalan Korea is probably the best bet, but both species can occasionally be seen in the small patch of forest next to Nimbokrang itself. Twelve-wired BoP and Pale-billed Sicklebill are most commonly seen from the side trails from Jalan Korea, as is Blue-and-Black Kingfisher, Brown Lory and Brown-necked Crow. Hook-billed Kingfisher can be heard calling at many place but can be seen at the edge of the small forest patch. 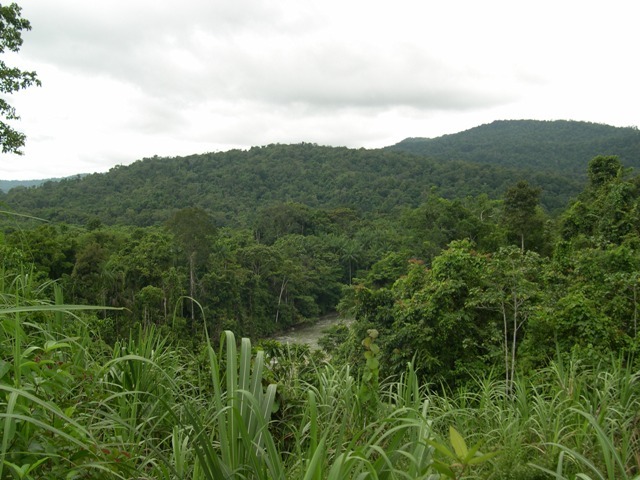 This is also where Papuan Hawk-owl has recently been seen. This is the name given to a site on the road away from Nimbokrang to the south. Here the land rises into low hills and a different range of birds can be seen. There are a few options of places to look and taking a local guide is the best way to find them! It is here that the best spots for Shovel-billed Kingfisher, Purple-tailed & Zoe Imperial Pigeon, Salvadori’s Fig-parrot, Yellow-bellied Longbill, Green-backed Gerygone and Golden Myna are found, and Papuan Nightjar can be seen from the road at dusk. Dropping down into the valley to the east of the road gives you more chances at Victoria-crowned Pigeon and is good habitat for Blue Jewel-babbler and Hooded Monarch. There are also sites for King BoP nearby and occasionally Vulturine Parrot can be seen, although frustratingly it is more commonly heard calling distantly. Getting to and from Nimbokrang is pretty easy. It is only around 2-3 hours drive from the airport at Sentani by taxi, and can be done by bus also. If this is the first place you visit in Papua then the police station near Sentani airport is a convenient place to pick up your Surat Jalan (for more information on Surat Jalan visit here). There is an excellent local guide in Nimbokrang, Pak Jamil, and the best bet is to hook up with him. The best way to contact him in advance is by text/sms message to his mobile phone (+62 852 5433 2796). He speaks and understands some English, so as long as you keep the messages simple he should understand. There is not much in the way of hotel accommodation in Nimbokrang and many people simply pitch a tent in Jamil’s garden. Alternatively if your group is small it may be possible to stay inside Jamil’s house. Jamil’s wife can provide food, so this is one site where you don’t need to do all your shopping yourself! Getting around locally is most efficient by motorbike. This can either be on the back of Jamil’s, or his assistant Pak Dance’s, or you can hire a local bike and rider in the village. 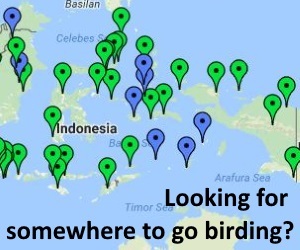 I’m a birding tour organizer in China, And I’m trying to bring some Chinese bird photographers to eastern Indonesia, Could someone of you help me with that?